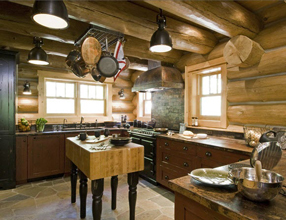 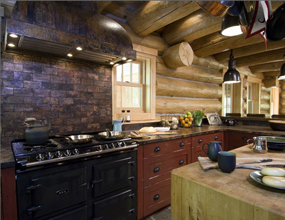 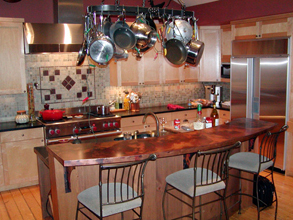 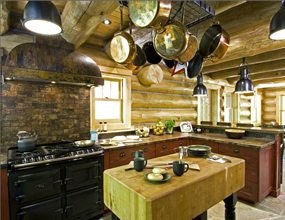 Custom Countertops - #5015 | Handcrafted Metal Inc. 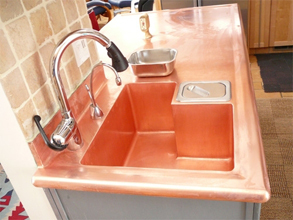 This extra large copper island top is completely seamless and features all rounded corners. 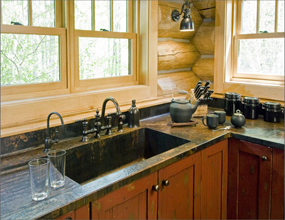 The farm sink is integral and seamless as well. 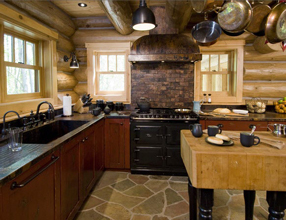 The rounded corners are 2" radius around the sink, and 12" at the opposite end of the top. 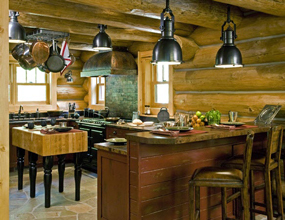 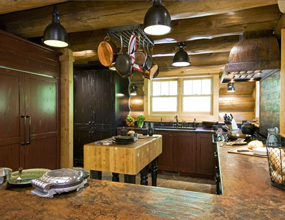 The end opposite the sink features a 12" overhang to create an eating area. 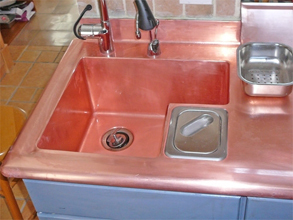 The finish is our dark copper patina with lacquer and carnauba wax. 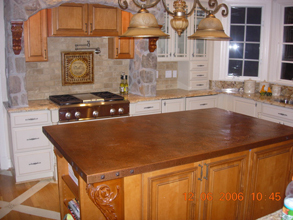 We shipped this top as a single slab with 2 layers of 3/4" cabinet grade plywood substrate.